This ready-to-use 21 CFR 820 quality audit questionnaire (audit by mail) has been created for the assessment of potential device suppliers that need to comply with the US FDA regulatory requirements set out in 21 CFR 820. The checklist will help you evaluate potential suppliers and cut costs and outlay. 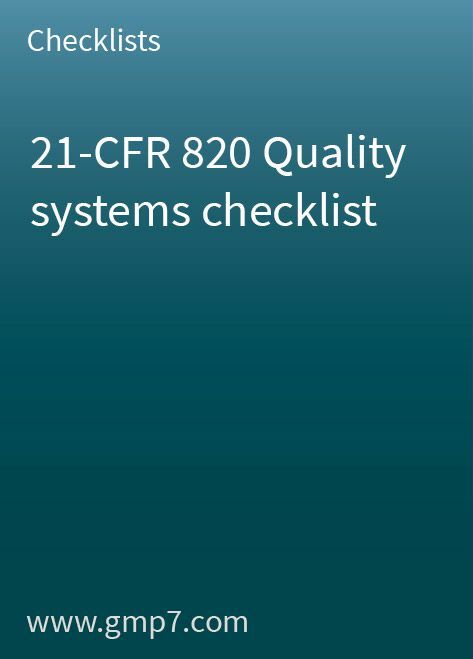 This 26-page checklist covers all sections of 21 CFR 820. It can also be used as an inspection checklist for internal or external audits.